Another day, another crash and another Chinese ban. This time, as Reuters spotted, a single report from financial news site Caixin is saying that the Chinese government is considering banning cryptocurrency exchanges in China. Bitcoin is currently down 7.7 percent, Ethereum is down 11 percent, Bitcoin Cash (which is quite popular in China) is down 11.2 percent, etc. But if you go on Chinese exchanges, the crash is even more important. 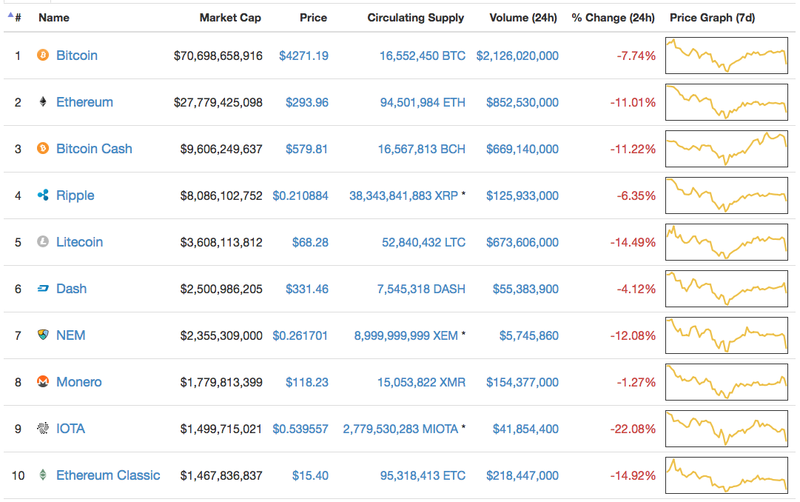 For instance, Bitcoin is down 13.4 percent and Ethereum is down 18.4 percent on OKCoin. As always, it’s a bit hard to know for sure what’s going to happen. There’s only a single report about this decision. Chinese investors could be trying to exit cryptocurrency markets as quickly as possible because they risk being locked into cryptocurrencies. Those exchanges have already been regulated with KYC (know your customer) rules and anti-money laundering rules. Margin trading is also forbidden in China. Maybe the Chinese government wants even more control and is going to create a centralized exchange and regulate those markets as much as possible. It’s hard to know for sure as Chinese regulation is always very sudden. Earlier this week, the Chinese government banned ICOs in China. There’s currently an ICO freeze and the top 60 ICO platforms are being investigated. Authorities thought ICO tokens were like securities, and some of them were a scam. This isn’t the first time China is banning exchanges. Back in 2013, bitcoin dropped more than 50 percent as the government asked BTCChina to stop accepting deposits in Chinese yuan. The government changed its mind later on.